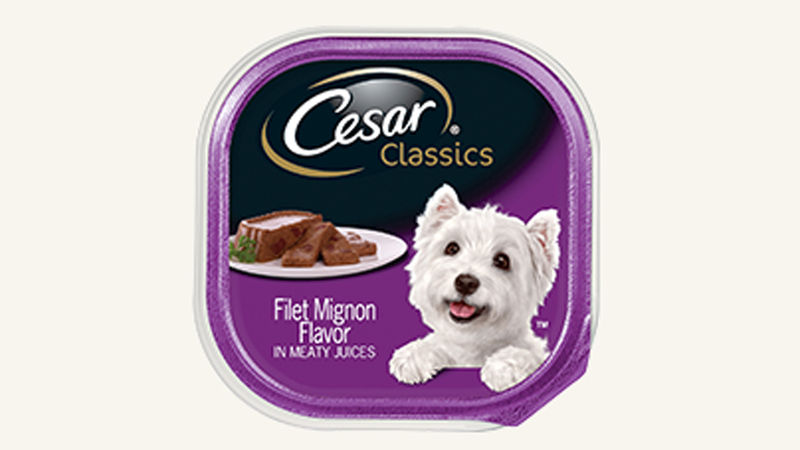 Mars Petcare is recalling its Cesar Classics Filet Mignon flavor after customers reported finding pieces of plastic in the food. The affected food packs have expiration dates of August 4 and 5 of 2018. The products' lot codes for the affected foods are 631FKKC and 631GKKC, and they were included in multipacks. In the company's branding scheme, filet mignon products are purple. Customers can return the food or throw it away. Dog owners have not reported any injuries to their pets.